Here we are, December 2015. There are currently 33 AEs in Medwatcher that list Death associated with Essure. (You can find those links here.) Within our Facebook group, Essure Problems, we have countless reports of miscarriage, and even a few suicides. 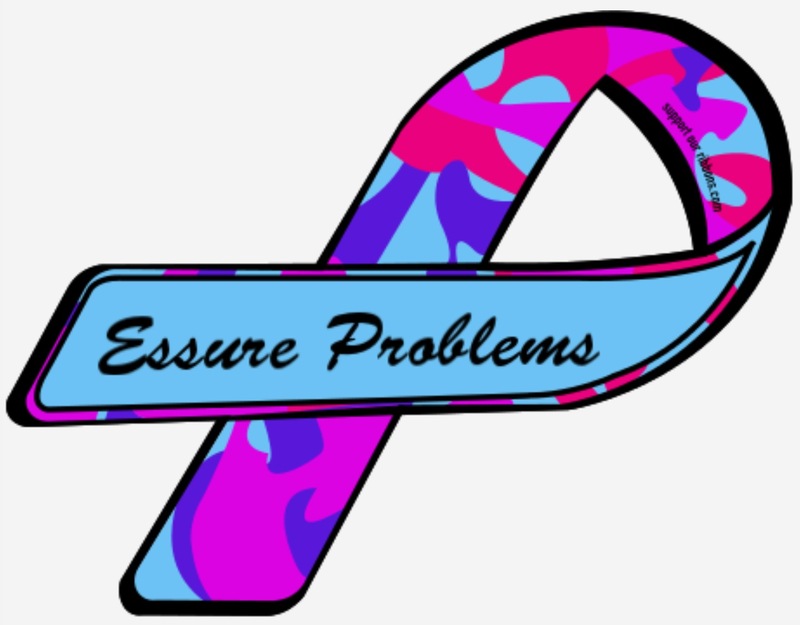 How many women and children need to lose their lives before SOMEONE stands up and makes the decision that Essure should NOT be on the market? We know this decision is not going to come from the manufacturer, Bayer. They have made that crystal clear. They stand behind this device and say that the benefits outweigh the risks, and the benefit to the majority overrides the damage to the minority. They will never put people before profits. Ever. Then we have the judge in PA. He has before him, five cases. Five very lengthy and very cohesive cases of injury caused by Essure, filed by KPW law firm, the same firm who wrote and filed a citizens petition. We have been waiting on him to make a move, to send these cases to court, and let our legal system decide the fate of Essure. I can understand that this is a HUGE amount of pressure on him. This device coming before the courts to challenge its preemption protection is quite a task, and if he decides to proceed with these cases, this could be history in the making. I pray that he follows his heart and his decision reflects the humanity inside. We hope he makes a decision soon, to allow these cases to go to trial. Then we have the FDA. For several years now, our group has been providing evidence and information to them. Having phone conferences, sending emails, and holding meetings. Recently the FDA held a public hearing on Essure to discuss the risks and benefits. Several of us attended and spoke at that meeting. (You can find that info here.) Even the panel members attending that meeting were appalled at the lack of information the manufacturer had available. They seemed disturbed by the stories that they heard from us. The FDA recently announced that they will be making some sort of determination from that meeting, at the end of February. (You can find that announcement here.) However, I am not holding my breath that the FDA is going to do ANYTHING substantial here. I fear they will simply make Bayer add a few warnings, maybe make them add the nickel contraindication back to the labeling. I don’t know, but I doubt that they will ever recall this device, or voluntarily revoke PMA. While we understand the pressure they are getting from industry, I still feel sickened that they allow this type of harm to continue, when we are only talking about a BIRTH CONTROL device here. Let us not forget the citizens petition that was filed, yet nothing has come of that "investigation". Then we have Congress. We have an amazing Congressman on our side named Mike Fitzpatrick. He sees the dysfunction going on within the FDA. The lack in handling this important situation in a timely manner. Fitzpatrick has introduced a bill called the E Free Act (H.R.3920 ) which if passed, will instruct the FDA to revoke the PMA protection from Essure. This will finally allow women to pursue legal action in a court of law. THAT is what we need. We need to be able to let the COURTS decided the fate of this device. The only way this will happen, is if the bill passes through the house, then the senate, and is finally approved by the president. Right now, Fitzpatrick has a few co-sponsors, but he is getting a LOT of pushback from his colleagues. They are telling him that forcing the FDA to take action is not their job, not their responsibility. It absolutely is! Our government is there to protect and serve its people. They have to make sure that entities such as the FDA are operating properly and fairly, and in this instance, they are NOT! Congress needs to understand that they are not forcing the FDA to recall or remove this device, we are asking them to force the FDA to lift the PMA so that we as American citizens, can have the opportunity to exercise our civil rights in a court of law. We have been harmed by a medical device, and none of us can do anything about it until SOMEONE steps up and says YES! This is a dangerous medical device, revoke PMA! It won’t be Bayer, I doubt it will be the FDA, it NEEDS to be either the JUDGE in PA, or even possibly another judge, or CONGRESS!!!!! We are done playing this waiting game. Women and children are dying, and every day women are suffering. We have been suffering for so long now, when is enough truly enough? I’m hoping that the “results” that come in February from the FDA are in our favor, but if they are not, I pray that Congress sees this game for what it is. A corporate game played with industry ties and driven by greed. I pray that someone, somewhere, who CAN make a difference here, reads this with an open mind and an open heart and reaches down to the core of his or her humanity and makes a move. No more waiting. The time is now.